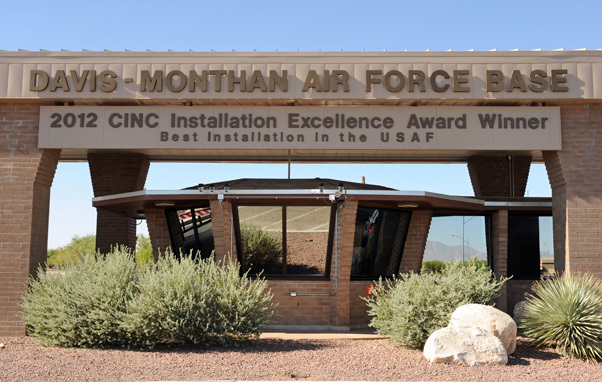 The 2012 Commander-in-Chief Installation Excellence Award banner hangs under the Craycroft gate on Davis-Monthan Air Force Base, Ariz., June 19, 2012. The CINC Installation Excellence award was established by President Ronald Reagan in 1985. 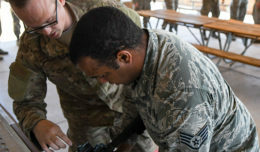 DAVIS-MONTHAN AIR FORCE BASE, Ariz. — Air Combat Command announced Davis-Monthan Air Force Base, Ariz., as the 2016 ACC Commander-in-Chief’s Installation Excellence award recipient. Established in 1985 by President Ronald Reagan, the CINC Installation Excellence award recognizes the outstanding and innovative efforts of the people who maintain and operate U.S. installations. The commander stressed that D-M receiving the award wouldn’t be possible without the outstanding support of the Tucson community. 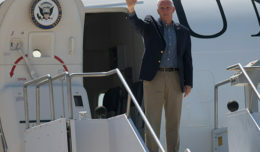 “A special thanks as well to our community partners who are amazing wingmen and provided unrivaled support to the base,” he said. 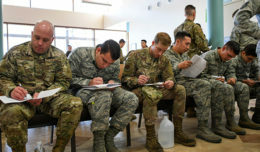 D-M is now competing at the Headquarters AF level with other Major Command submissions. The winner of the Headquarters AF level is awarded a crystal Installation Excellence trophy along with an Installation Excellence flag and a complimentary letter from the president. In 2012, D-M was awarded the CINC Installation Excellence Awards.